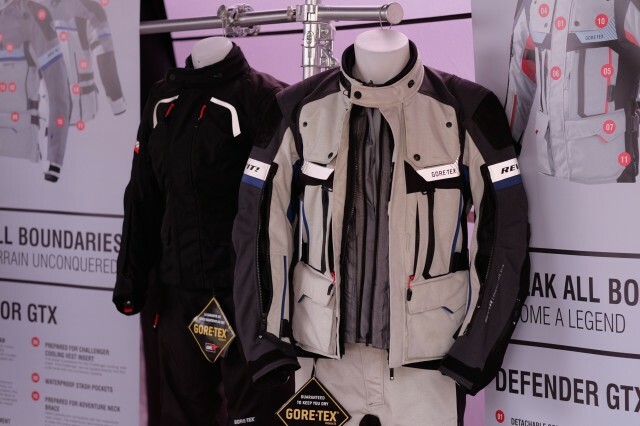 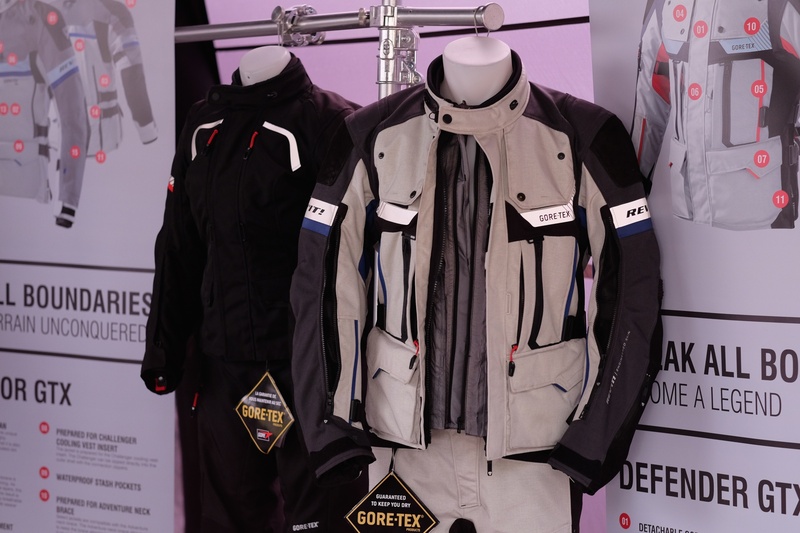 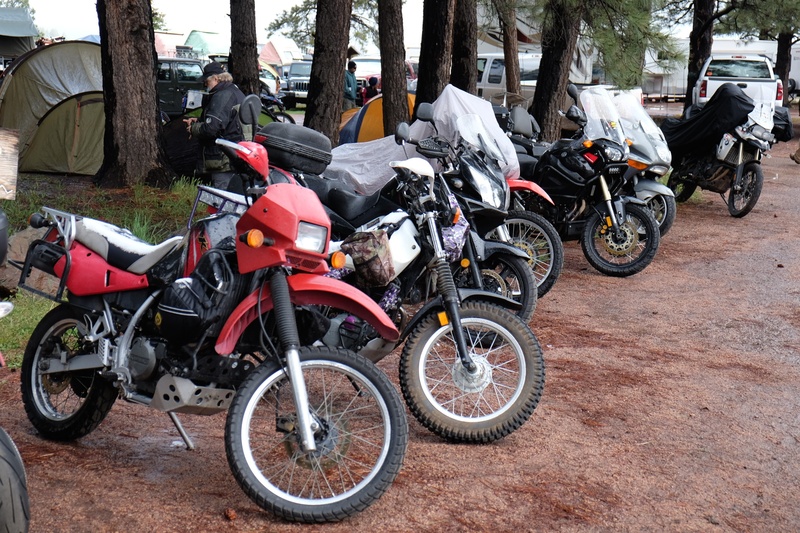 Day two of this year’s event started off under a blanket of fresh snow, but that didn’t stop the crowds from showing up bright and early to take in the many exhibits and classes. 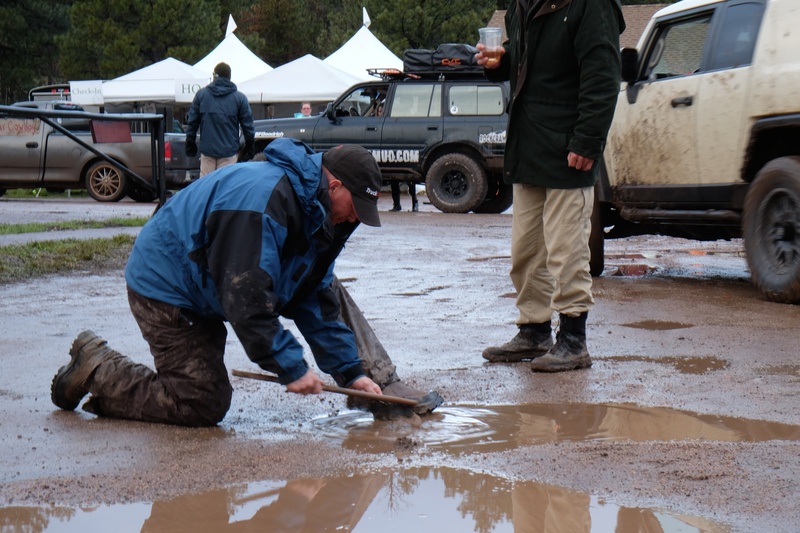 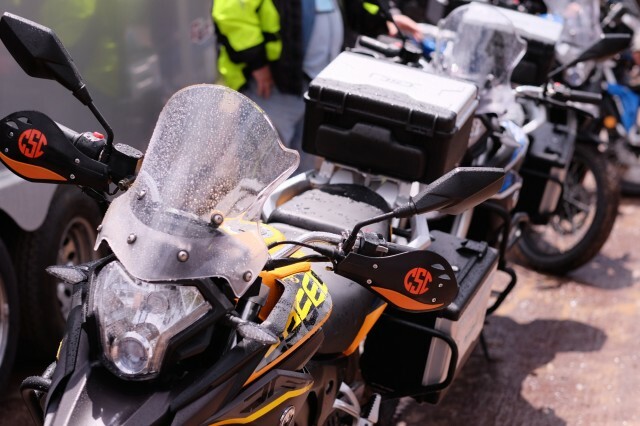 While the campground had thinned overnight as some attendees retreated to warmer and dryer accommodations, most held fast and endured the worst of the storm. 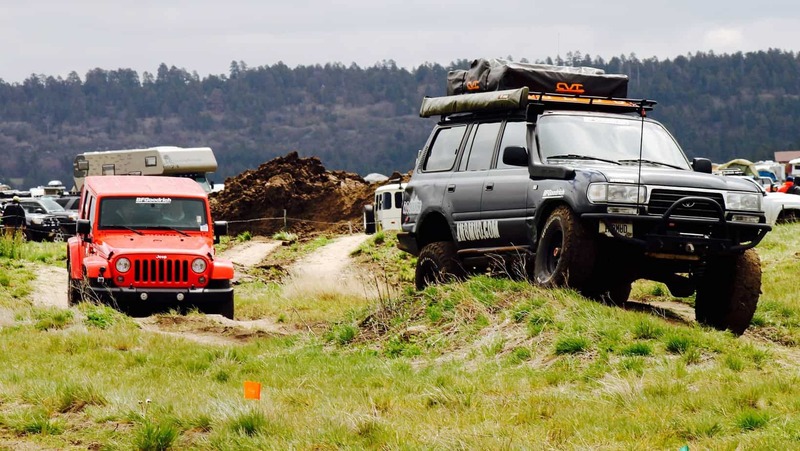 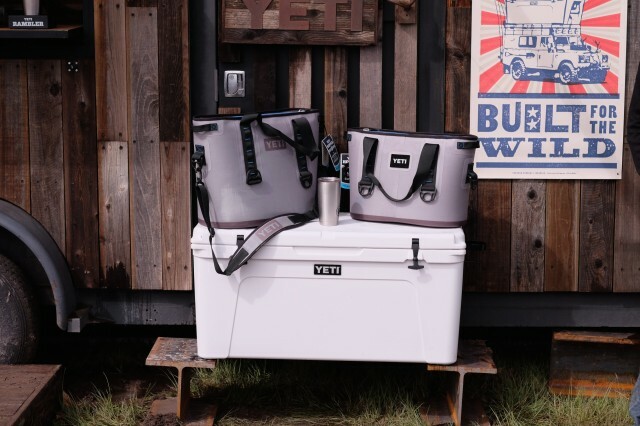 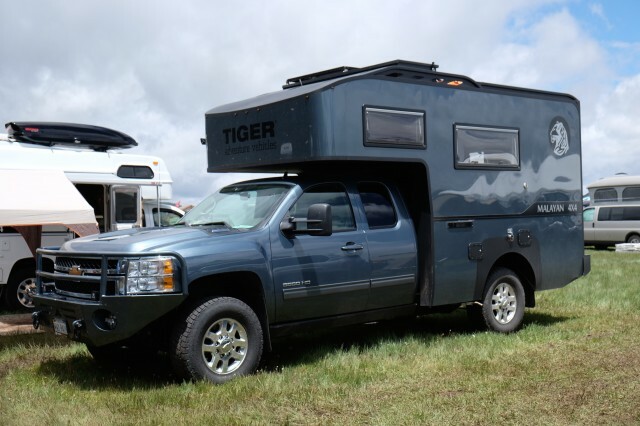 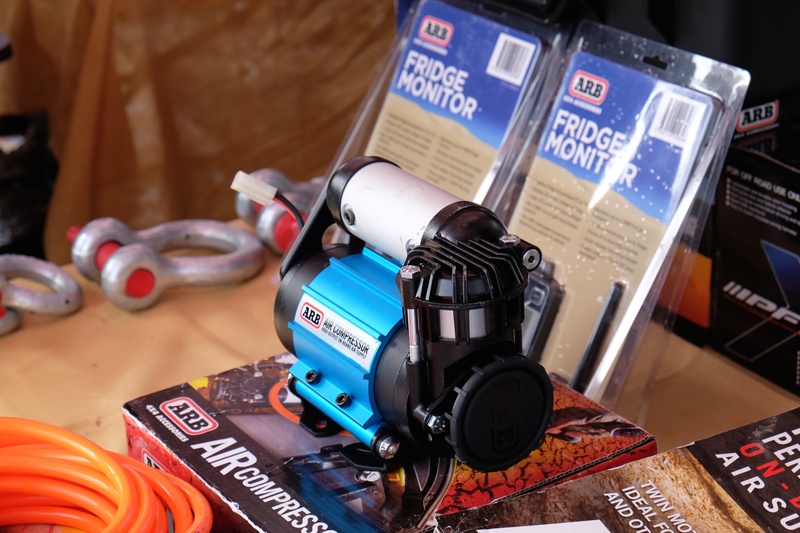 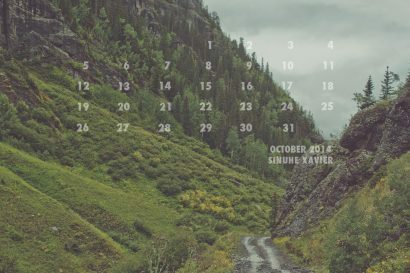 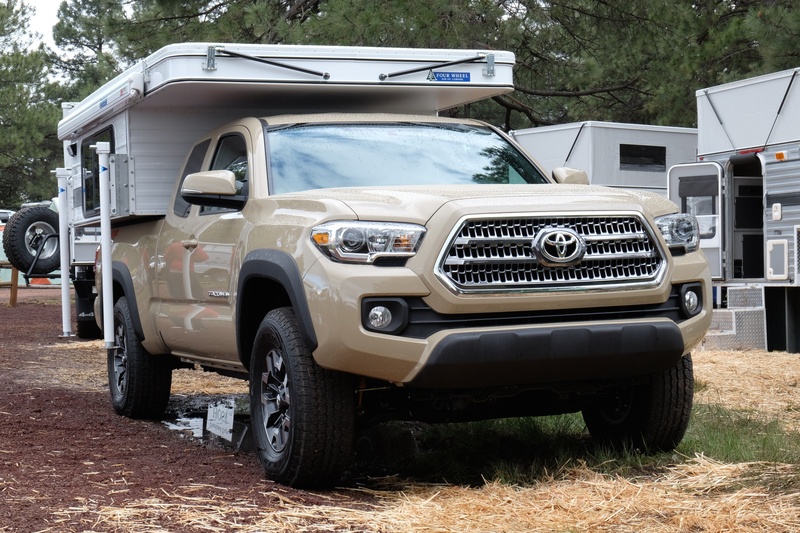 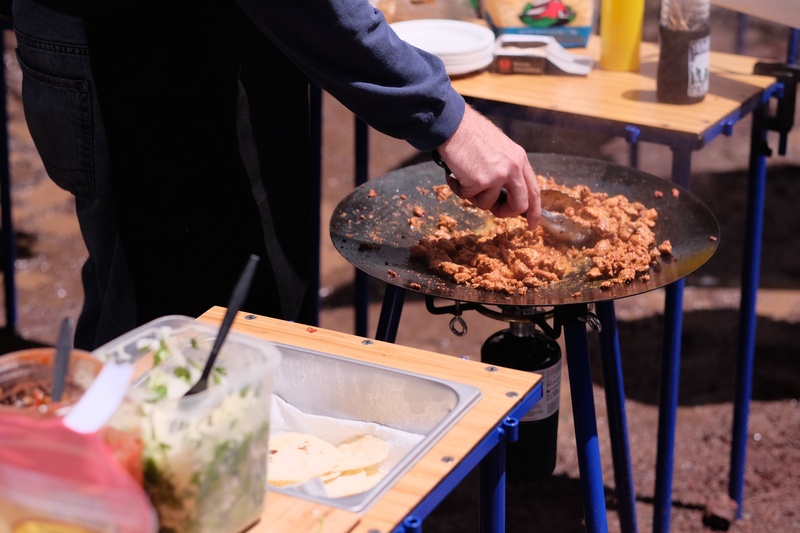 If there is a noticeable change in this year’s event it would be with the increased number of campers and trailers, a trend we have seen on the rise in the last few years. 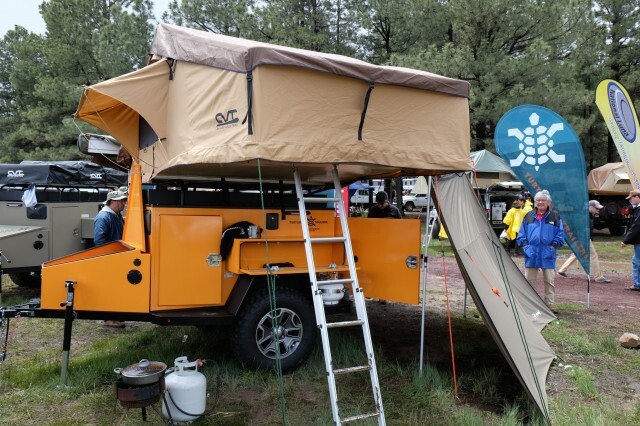 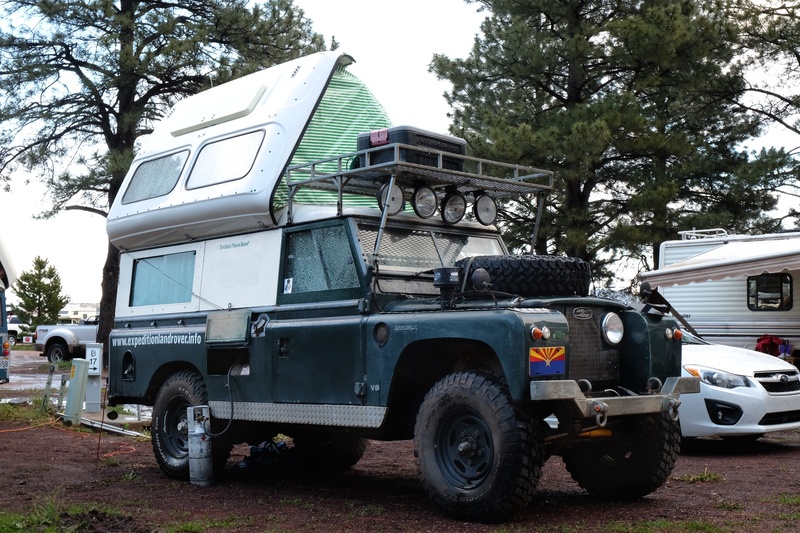 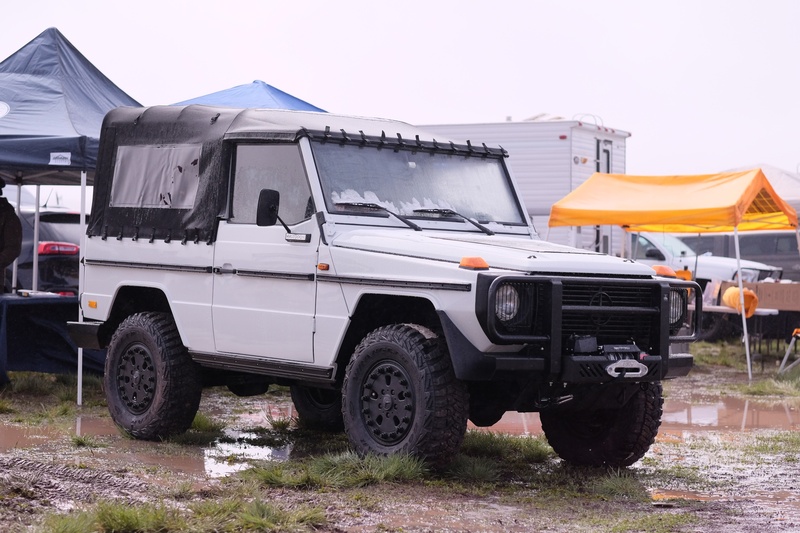 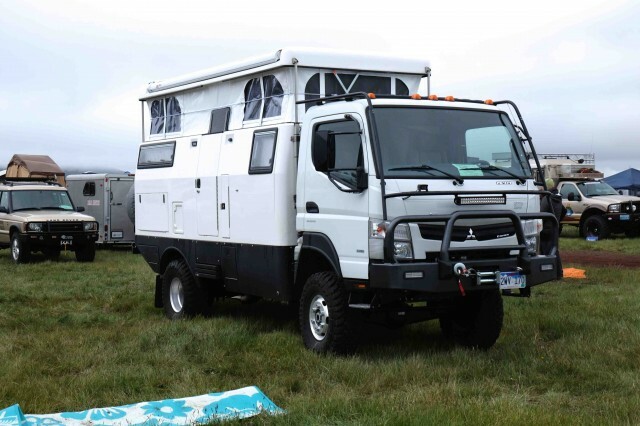 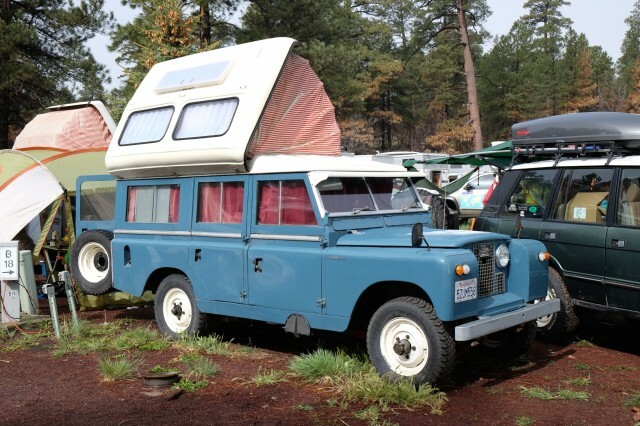 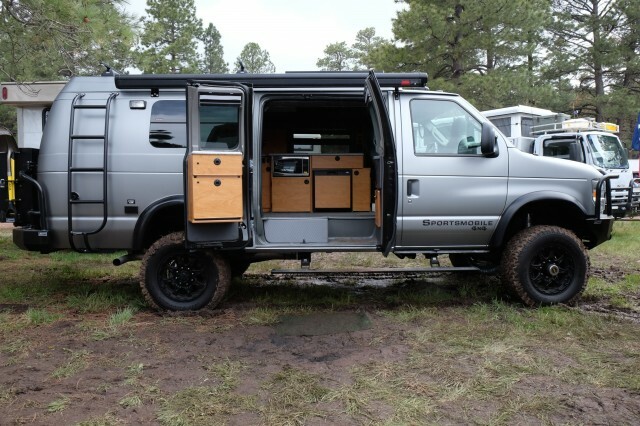 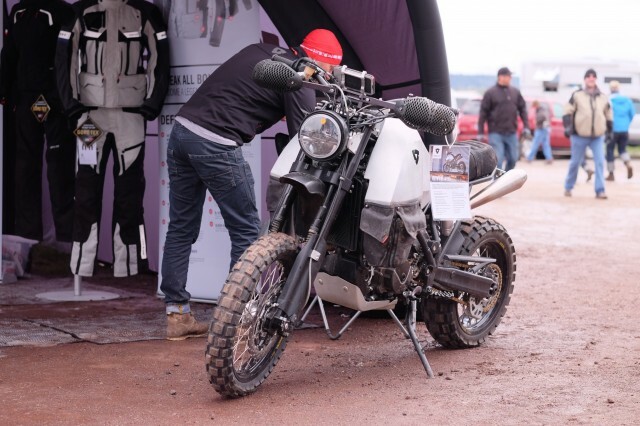 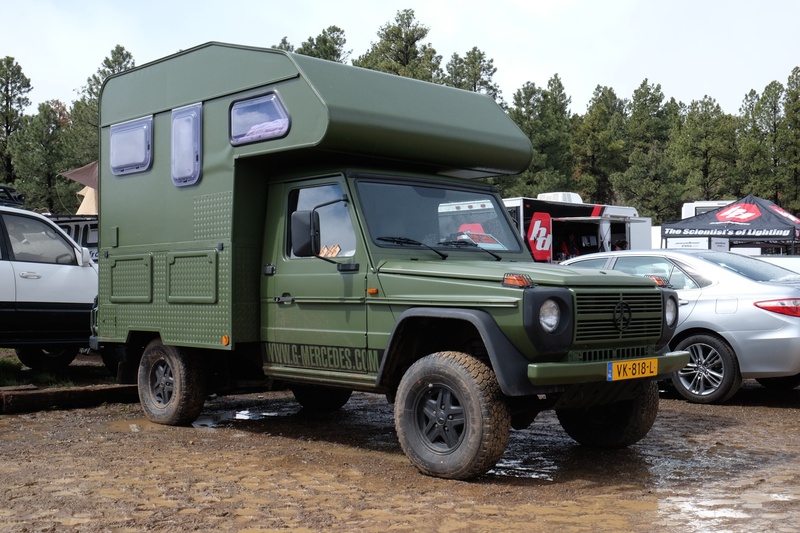 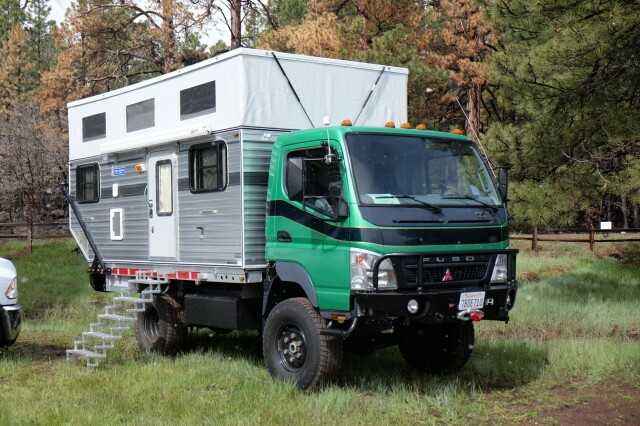 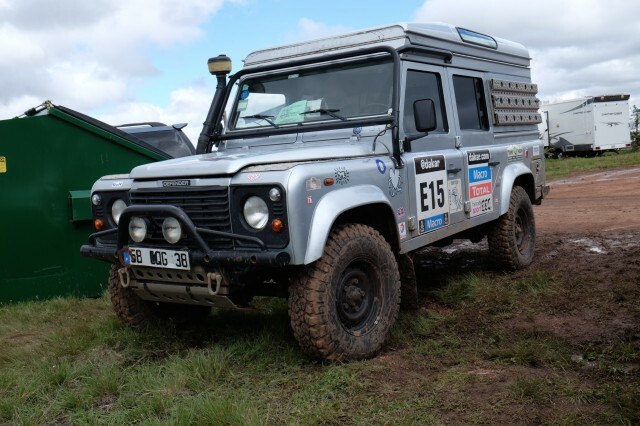 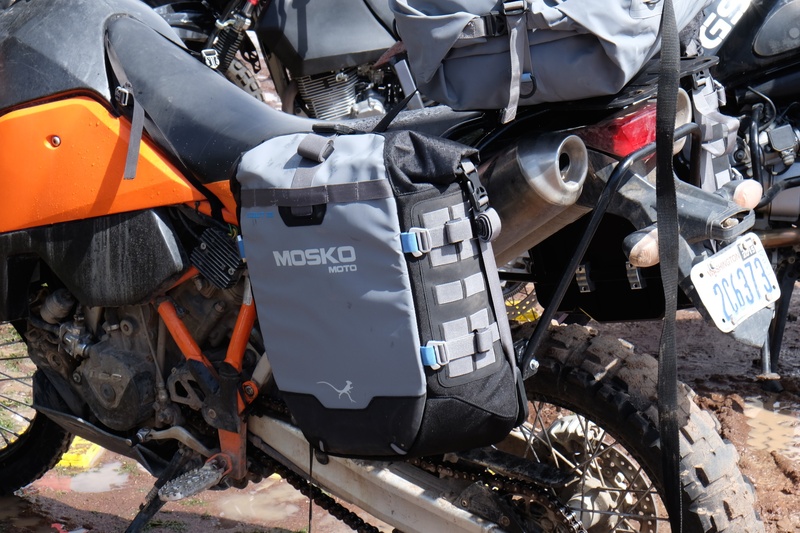 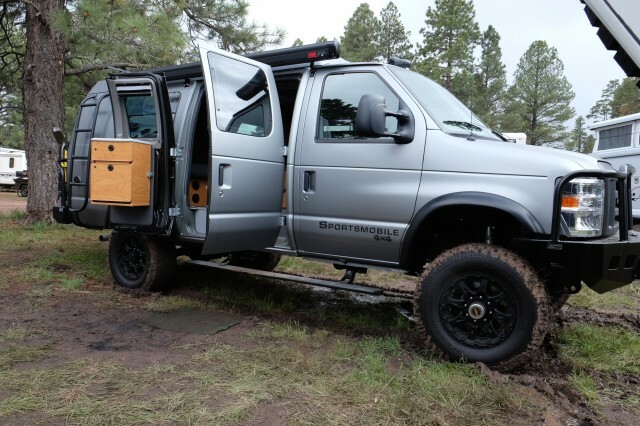 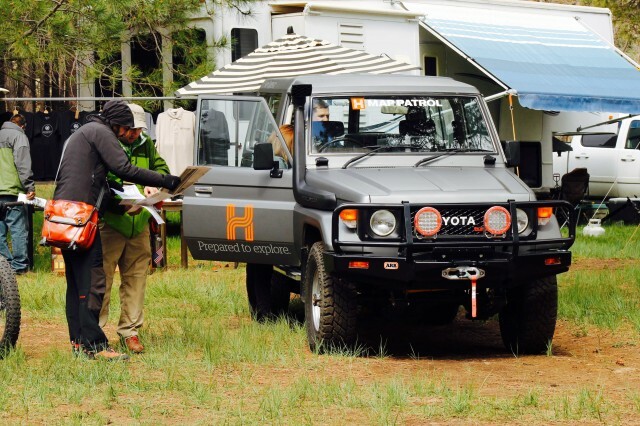 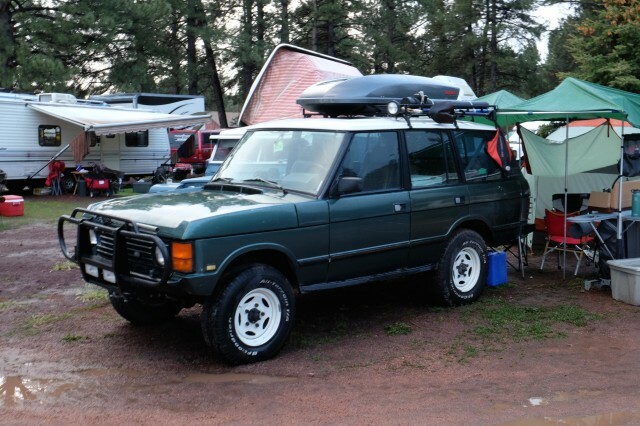 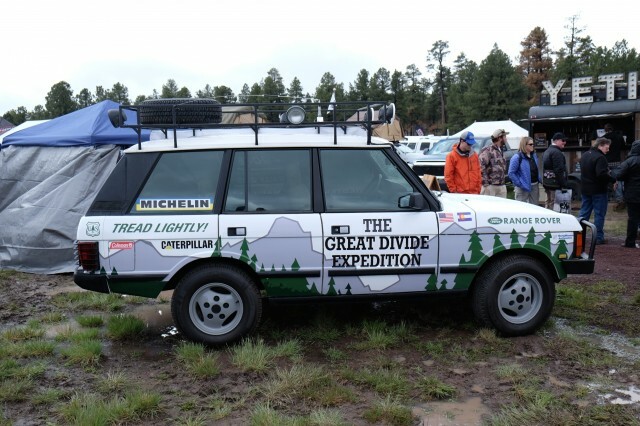 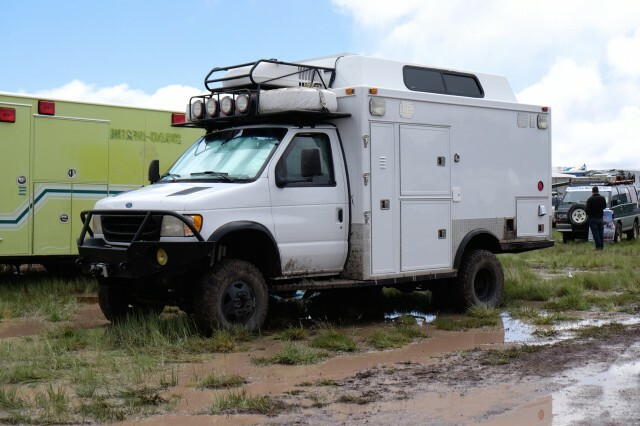 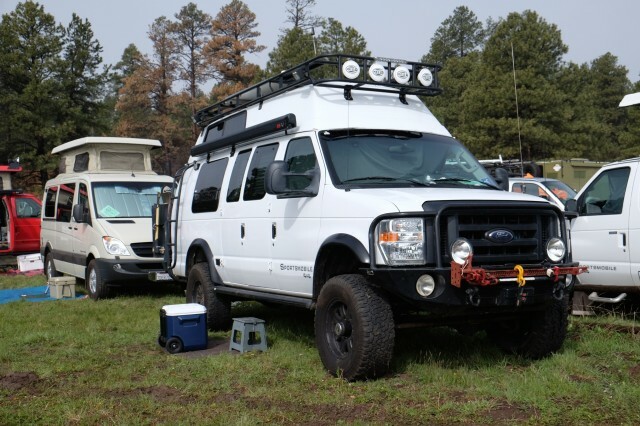 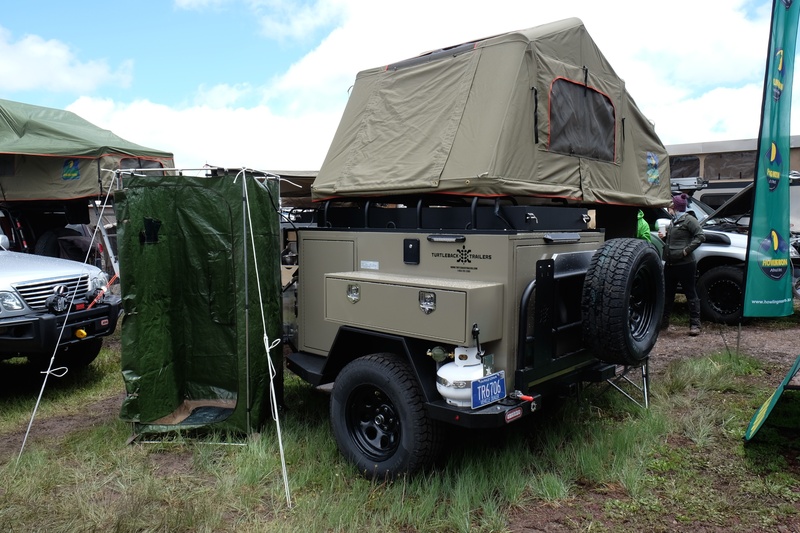 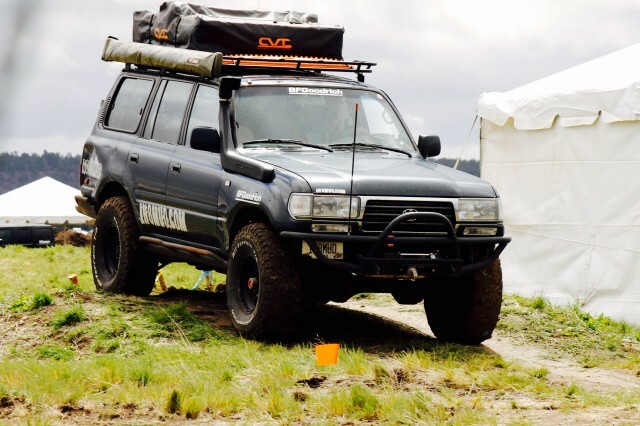 The ground tent appears to be on the downward slide as more overlanders embrace the creature comforts of hard walls. 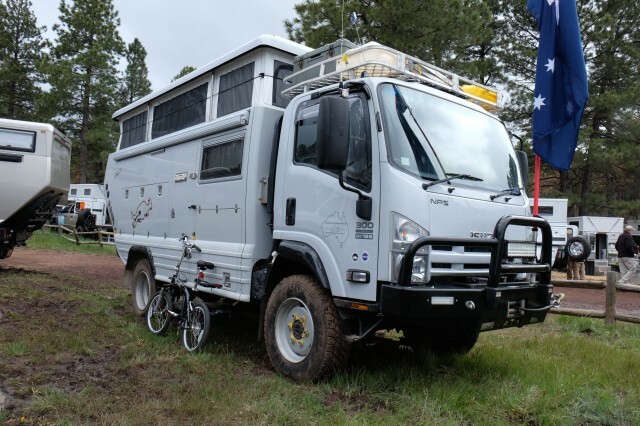 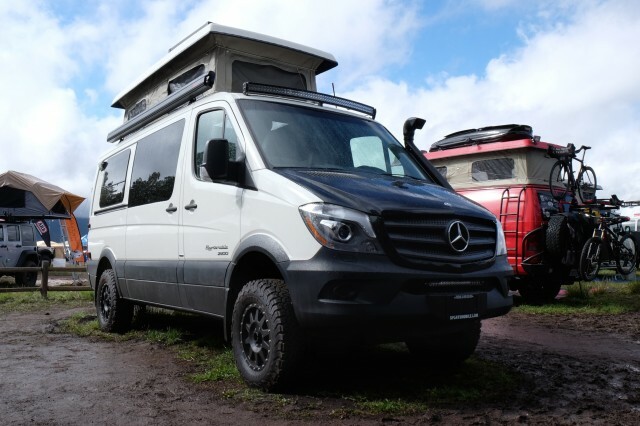 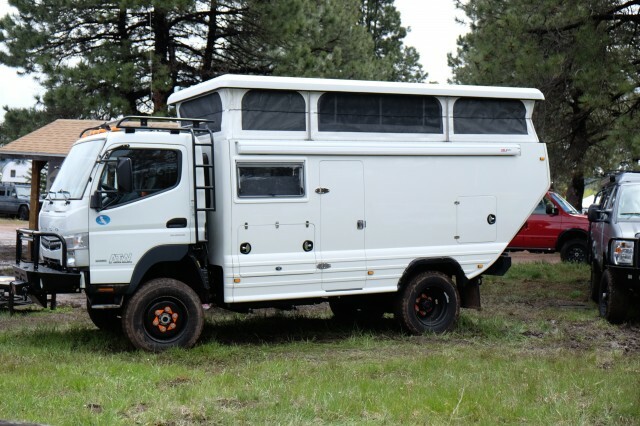 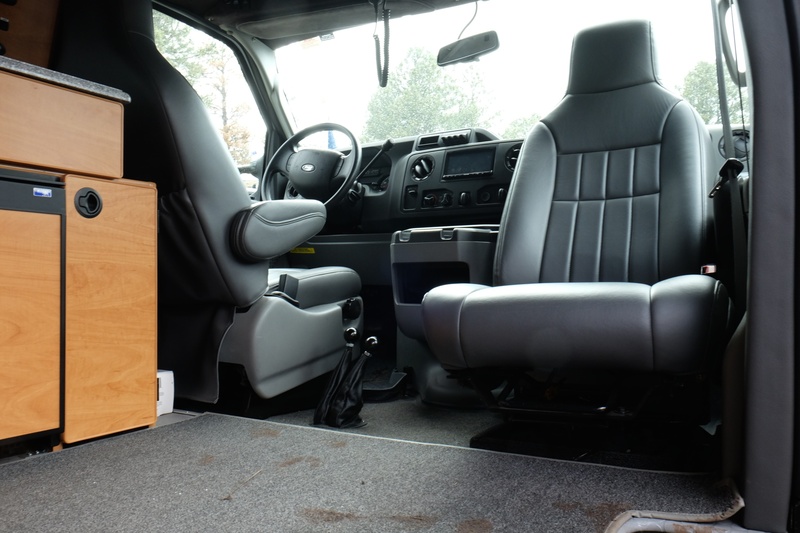 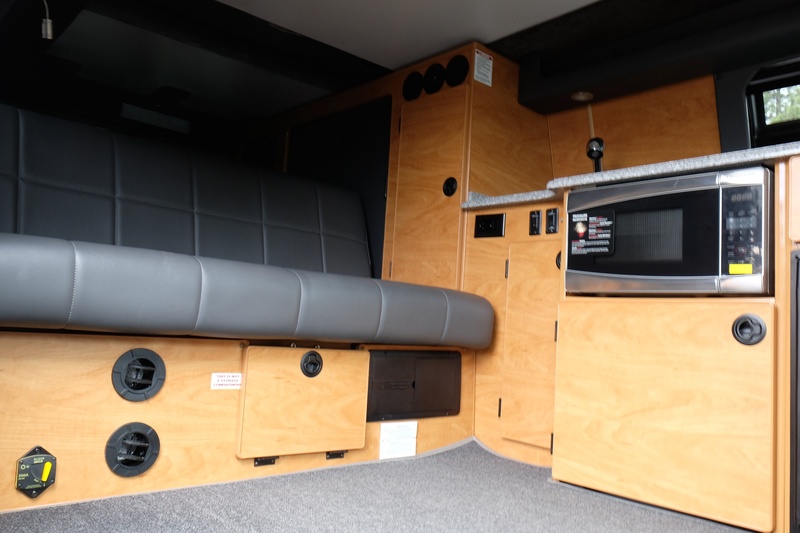 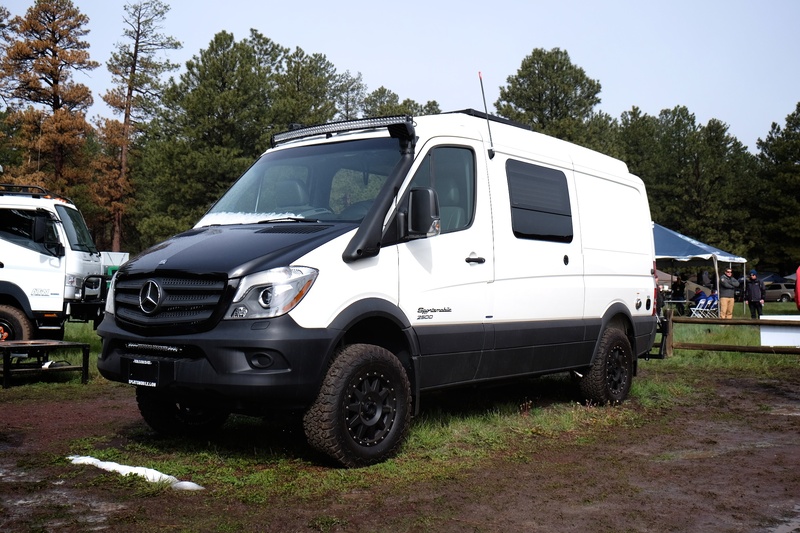 Sportsmobile’s latest 4WD Sprinter was a popular attraction as was Four Wheel Camper’s 2016 Toyota Tacoma. 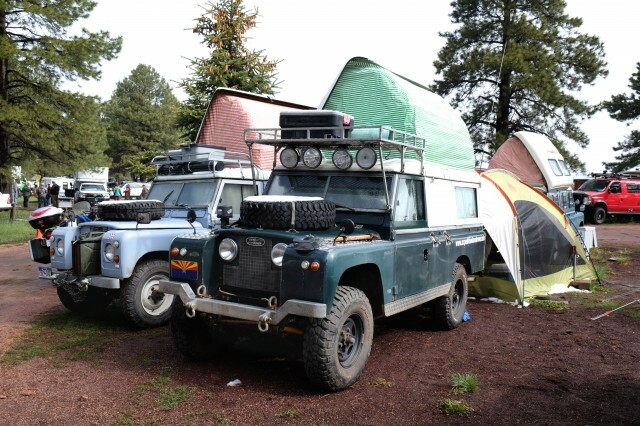 With one more day to take in the sights, the final day promises to be warmer, something that can’t come anytime too soon. 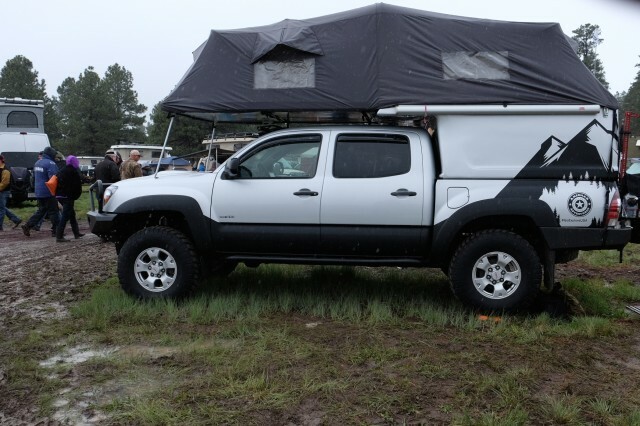 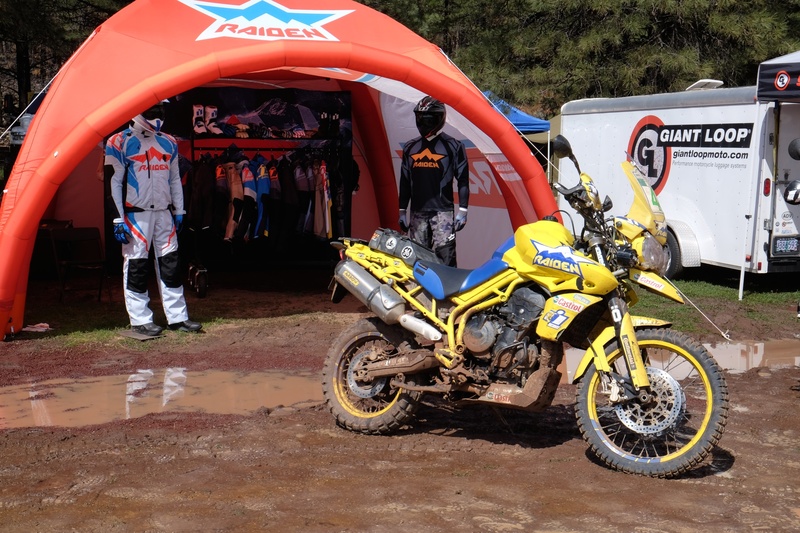 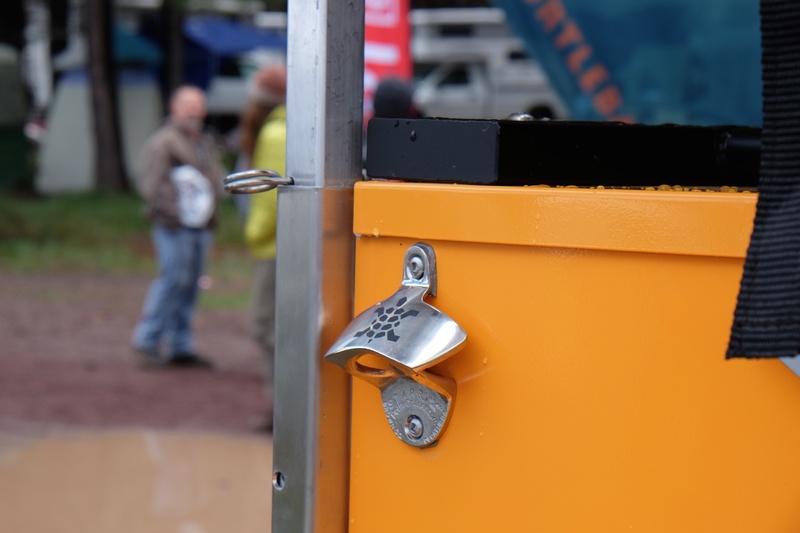 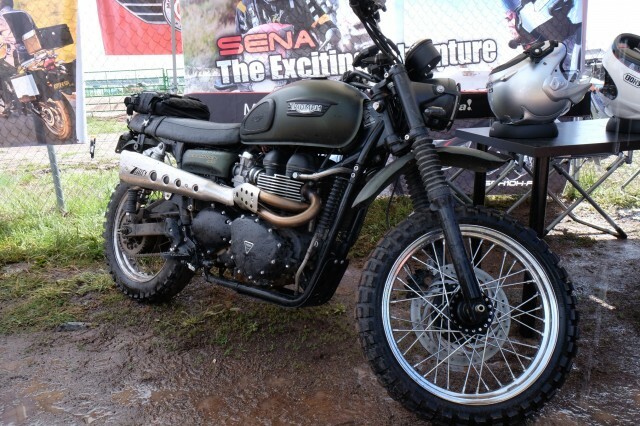 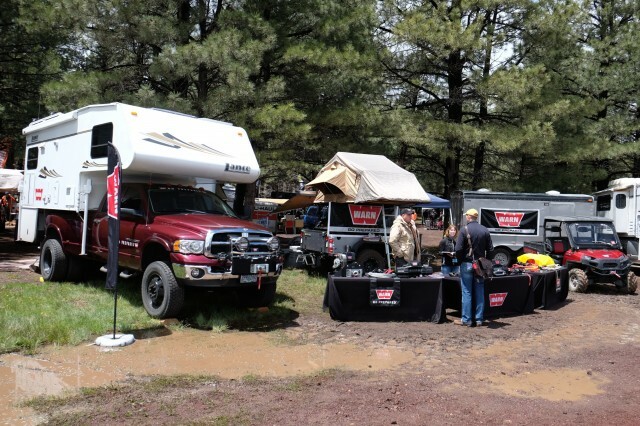 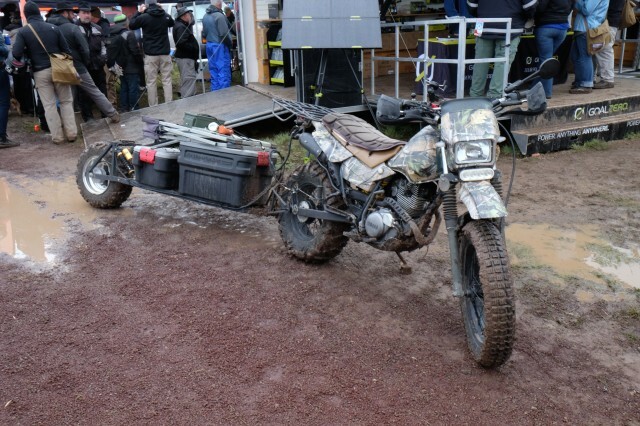 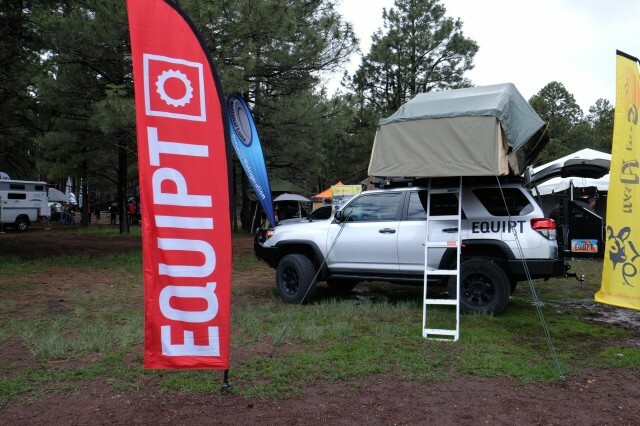 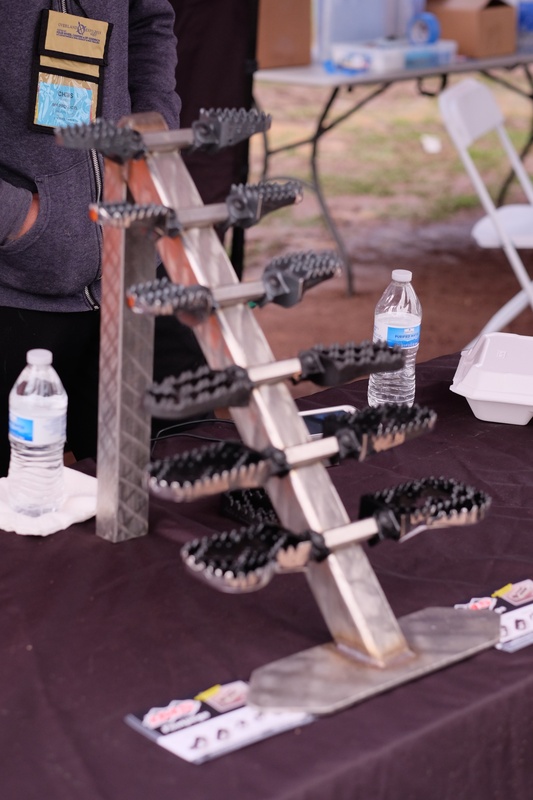 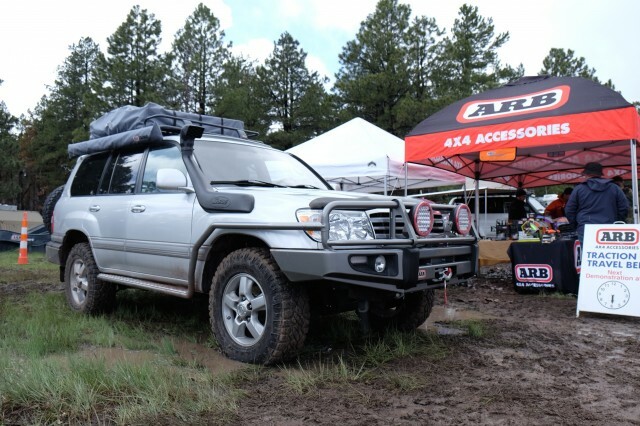 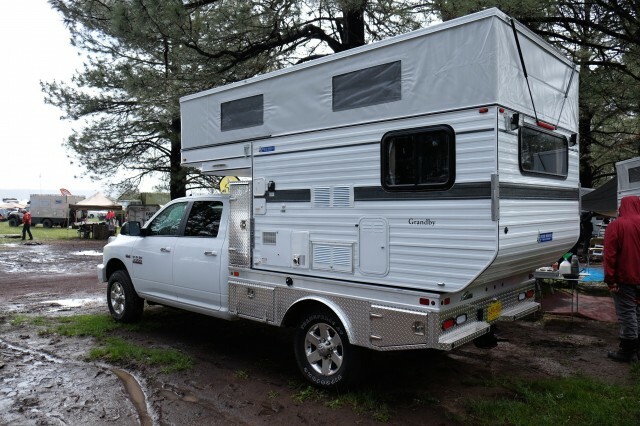 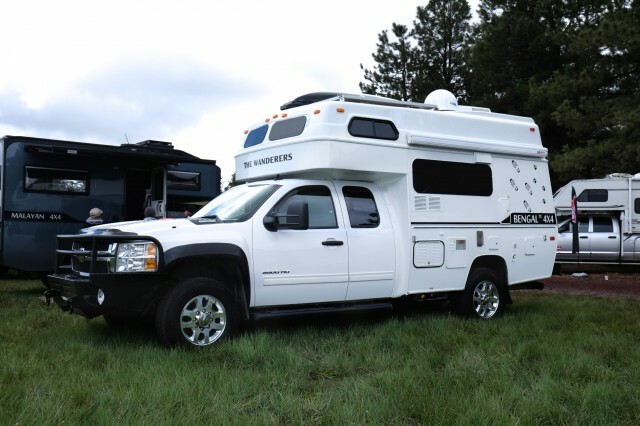 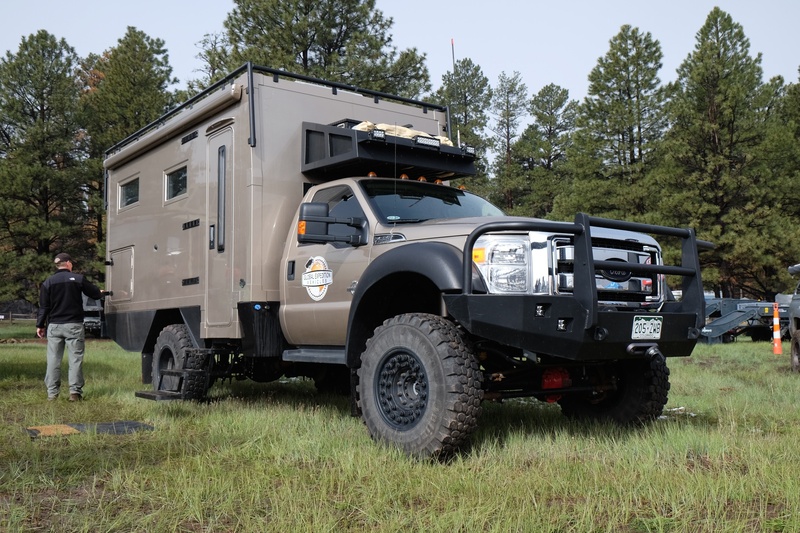 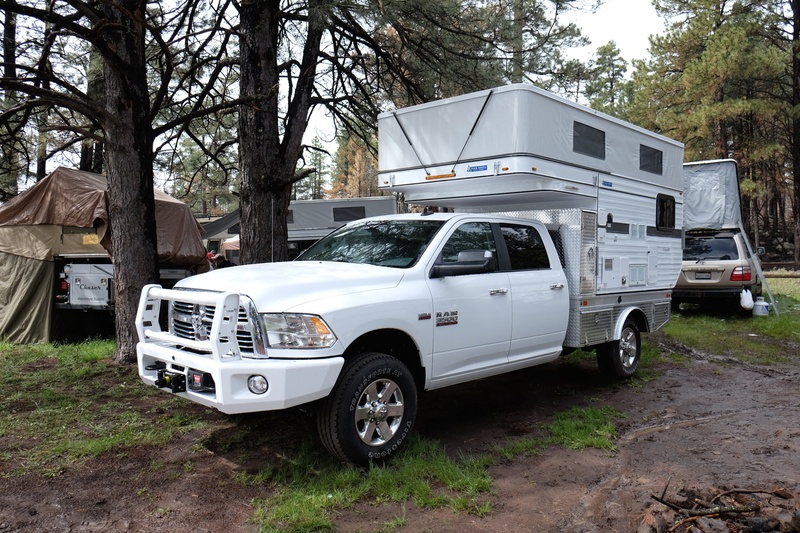 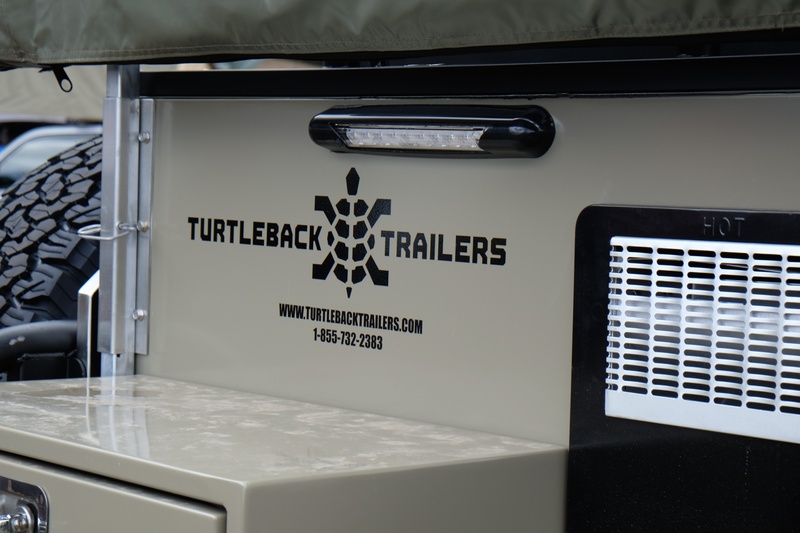 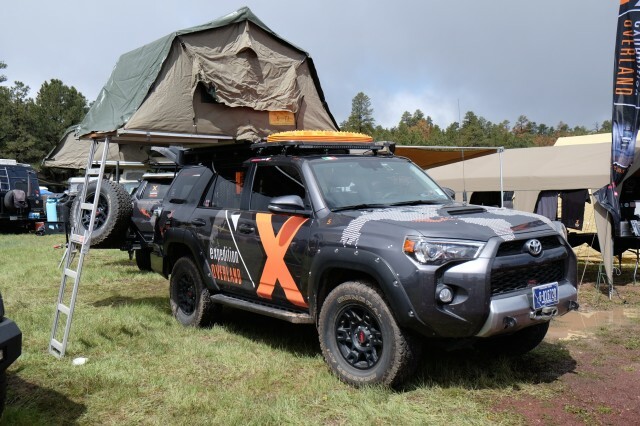 Phoenix based Turtleback Trailers brought two trailers showcasing their latest innovations. 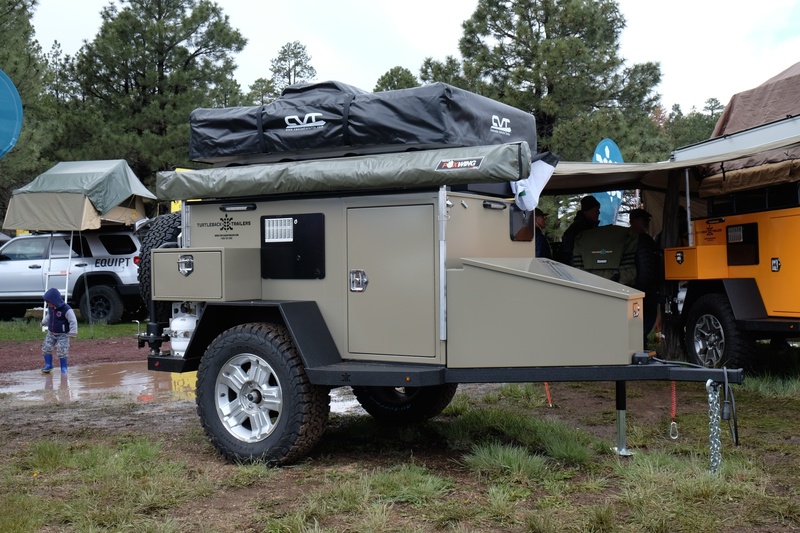 Fully featured and robustly built, these trailers are some of the nicer trail haulers at the show. 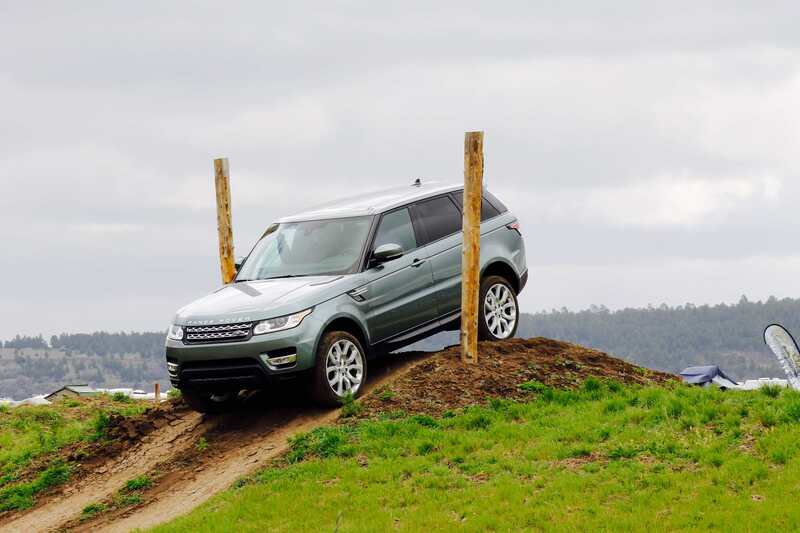 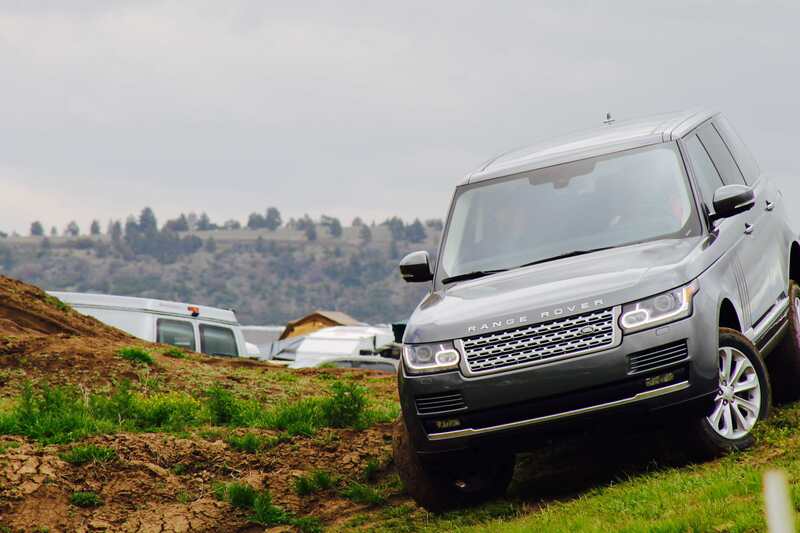 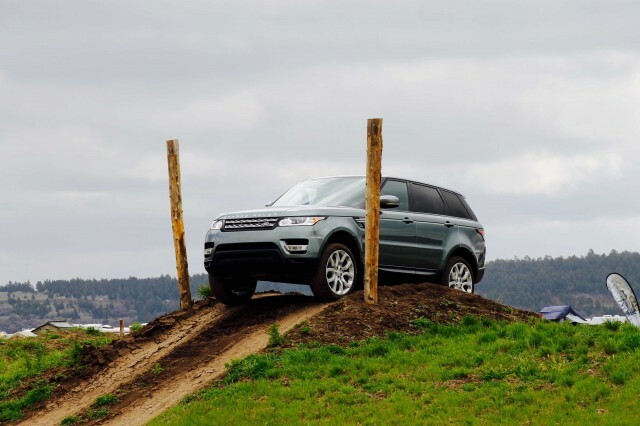 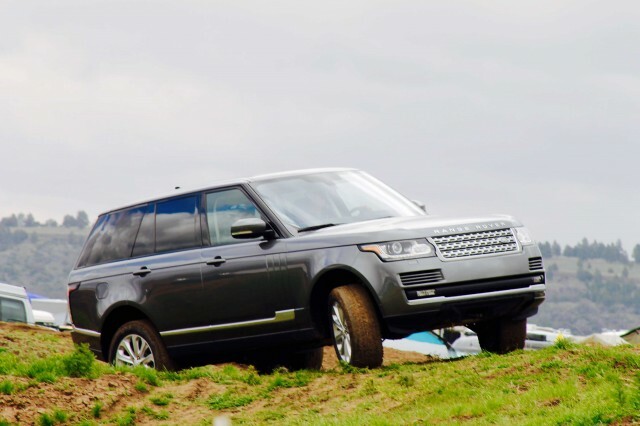 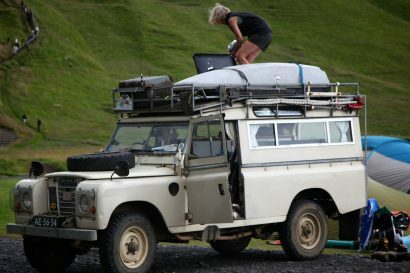 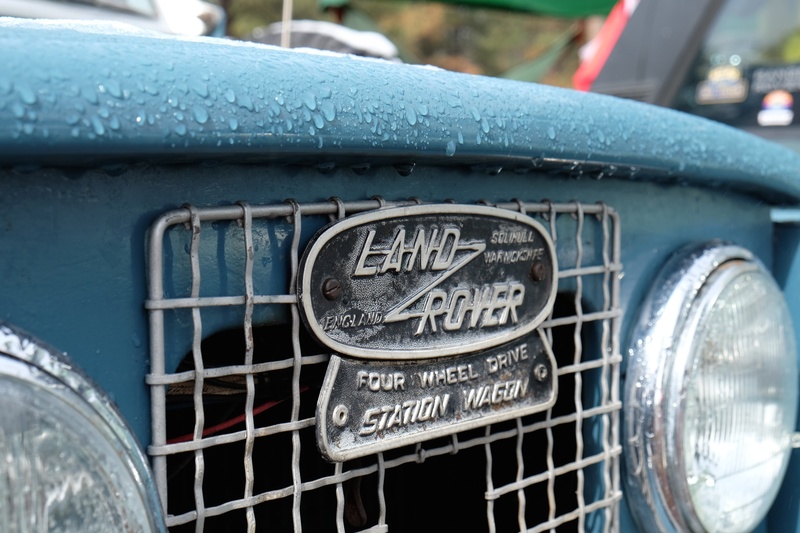 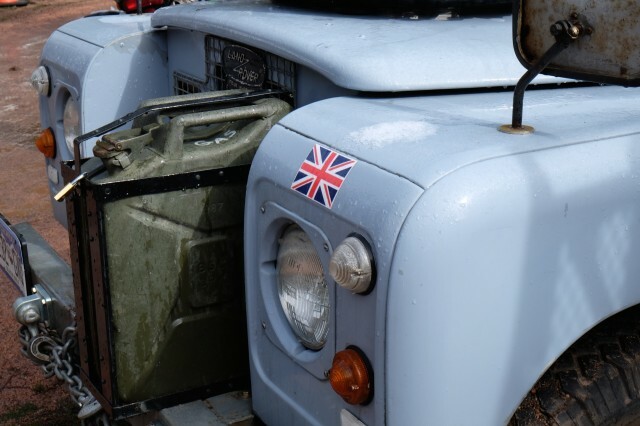 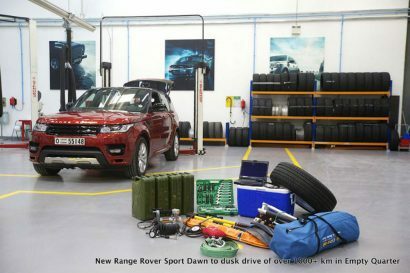 The Land Rover driving course is always a popular attraction.